Irvine is an affluent hub of education, business and innovation. Irvine California is home to a number of respected universities including the University of California – Irvine and its public school system is highly regarded. Irvine is the home of many companies and business that focus in the medical, technological and engineering fields including notable names such as Blizzard Entertainment, Broadcom Corporation, Parker Hannifin, Verizon Wireless and Western Digital. Business operations for these companies are global in scale in terms of both manufacturing, sales and distribution. The international character of today’s business world nearly guarantees that there is an international exchange of people, good, and ideas through Irvine. This means that residents and businesses in the area may open foreign accounts to facilitate transactions or to make travel more convenient. However actions like these may give rise to an FBAR filing obligation. Failure to satisfy this mandatory disclosure law can result in civil penalties or a criminal tax investigation. What is an FBAR Lawyer? To start, there is no such thing as an FBAR lawyer in terms of professional titles. When a reference is made to an FBAR lawyer, we mean a tax lawyer who handles issues due to the requirement to file Report of Foreign Bank and Financial Accounts (FBAR). FBAR issues can arise under a variety of circumstances, but the source of the obligation is found in the Currency and Foreign Transactions Reporting Act of 1970, commonly referred to as the Bank Secrecy Act. The Bank Secrecy Act was originally an anti-money laundering statute, but it has been stretched to cover a broad array of financial crimes. When Must I File an FBAR? The FBAR obligation is triggered when a US person holds and interest in or signature authority over foreign financial accounts when the aggregate balance of those accounts exceeds $10,000. US persons includes citizens, green card holders and other individuals with a significant physical presence in the United States. US persons have an obligation to file an FBAR regardless of whether he or she is currently living in the United States or in a foreign country. The only means to satisfy your FBAR disclosure obligation can be found online at the Financial Crimes Enforcement Network’s (FinCEN) BSA web portal. Those with an FBAR obligation can log in to complete FinCEN Form 114. However those who log in to the web portal should be aware that they are submitting an official government document under the penalty of perjury. What are the Consequences if I Forget to File? If you fail to make required disclosures of foreign accounts under FBAR, serious consequences can follow. However, the level of severity of the consequences you face are based largely on whether the IRS believes that your noncompliance was willful. A willful failure to file FBAR is one that involves a voluntary or intentional disregard of a known legal duty. Even if you didn’t know about your FBAR obligations, if you were “willfully blind” to those obligations the IRS will treat your failure to file the same as a willful failure. Even if the IRS believes that the taxpayer’s failure to file an FBAR was a non-willful error, serious consequences can still be occur. Each instance of a non-willful FBAR reporting mistake can be punished by a civil penalty of up to $10,000. If your FBAR violation was willful, extremely harsh consequences can apply. A willful FBAR violator can be punished by a civil penalty of the greater of $100,000 or 50% of the account balance for each year the account was undisclosed. Willful FBAR penalties often exceed the original value of the foreign account. Those with an FBAR filing obligation must maintain their tax and financial records for a minimum of 5 years or face the additional consequences of the failures to keep records as required by 31 CFR 1010.420 (formerly 103.32). If you are facing a tax audit or a criminal tax investigation, our experienced tax professionals can advocate and negotiate on your behalf. If you have concerns, but have yet to come under investigation our tax professionals can discuss options to resolve your noncompliance such as the Offshore Voluntary Disclosure Program (OVDP). 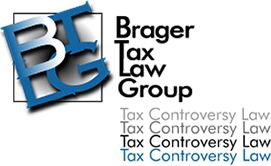 To speak with an experienced tax professional call 800-380-TAX-LITIGATOR or contact us online today.